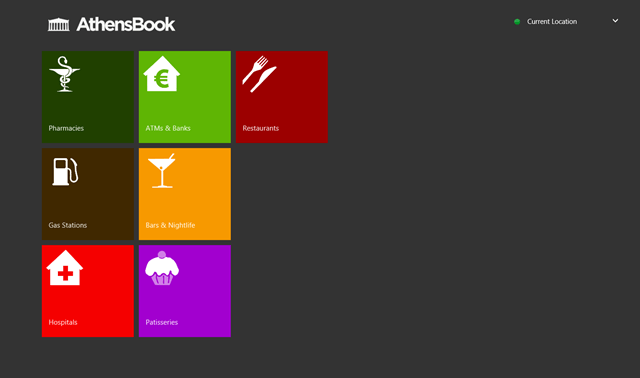 Athens Book is a free Windows 8 guide app for those who are on a trip to the beautiful country of Greece. You ever been to Greece?.. Well, even I also haven’t been there but I still know a number of places just sitting right around here. 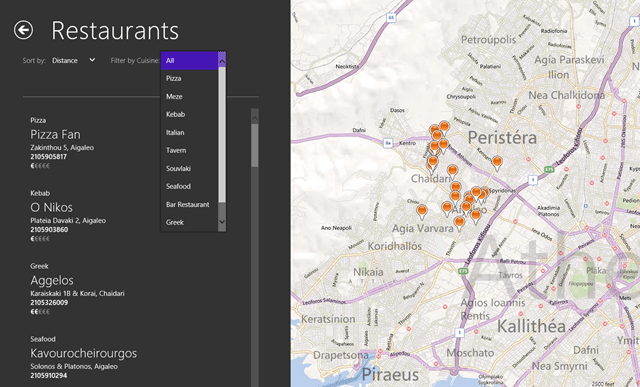 And this is just because of Athens Book app for Windows 8. It’s a free online guide Windows 8 app . What a civilization is Greece. They gives us science, democracy and also those movies of Greek Gods. But jokes apart, Athens Book helps you locate your nearby landmarks on the geographical map. 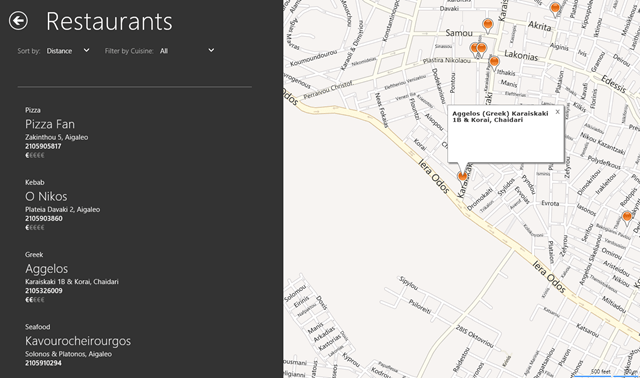 You can check out number of Restaurants, Pharmacies, Hospitals, Gas Stations etc. 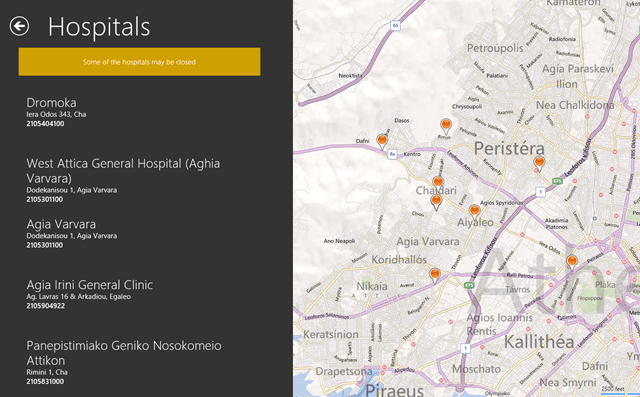 Just download this Windows 8 guide app and select your current location in Greece. And then, you are ready to go. This is the interface of Athens Book and you can select from these options. And After that, there will be a long list of restaurants, hospitals, gas stations etc. You can categorize them according to your choice like, to distance, to price or to popularity. Similar Apps: NAVITIME, Travel Guide App, Airport App. In case of restaurants, you can categorize them according to your favorite cuisine like today if you want to have a burger and lemonade and the other day you want to try something more spice, just select it from the Filter By Cuisine panel. Click on the landmark you want to go and you can have the address, ratings etc. right on your Windows 8 screen. Stop worrying about your trip to Greece, search for Athens Book and install this Windows 8 guide App on your Windows 8 PC and you are ready to go anywhere in Athens. Just don’t forget to bring your compass, that will give you some extra help.